If you aren't a sports fan, you may want to avert your eyes for today's post. I'm continuing my streak of gift-quilts with a fourth quilt (deadline at the end of the May). This one is for a man. Yes, the dreaded "man quilt". I sort of break out into a cold sweat even thinking about making something that a man will like. I've discovered much of my fabric has flowers on it. Who knew? But I do know enough to know the recipient is a big Chicago Cubs fan. I decided to take that theme and run with it. 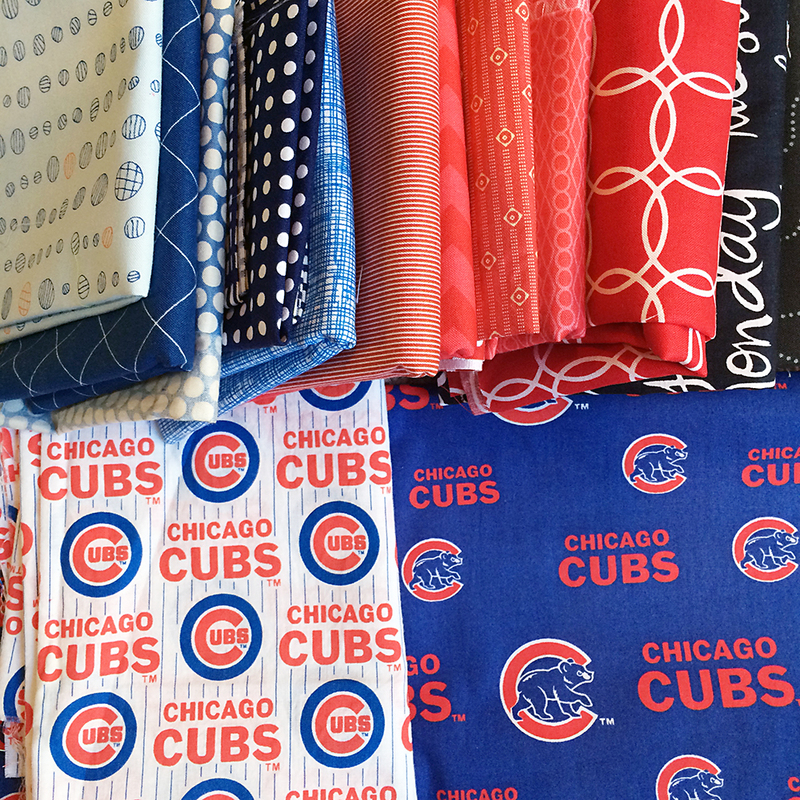 I found a couple different Cubs fabric scraps on eBay and built my color palette to coordinate. At first I considered making this quilt out of rectangles - pretty much the same thing I did with the Spiderman Quilt. Then it hit me - Shoo Fly Blocks! I thought they sort of looked like a baseball diamond. Yes? Maybe? These blocks are easy to make. Simple nine patches with HST corners. All measuring 4-1/2" unfinished, making the block 12-1/2" unfinished. 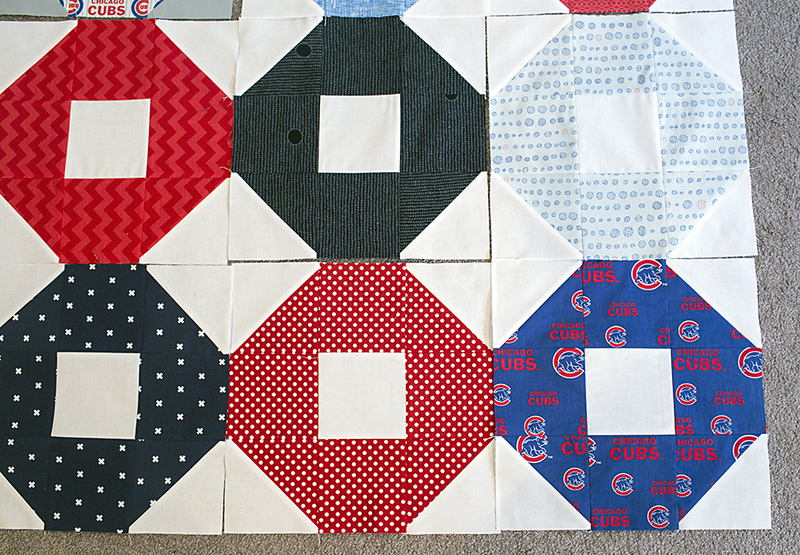 Hopefully I will find the time to get the quilt top assembled over the weekend!